We are a virbrant Baptist Church in North West London, just north of the Wembley Arch. Our strength is in our diversity of cultures and our unity in God. 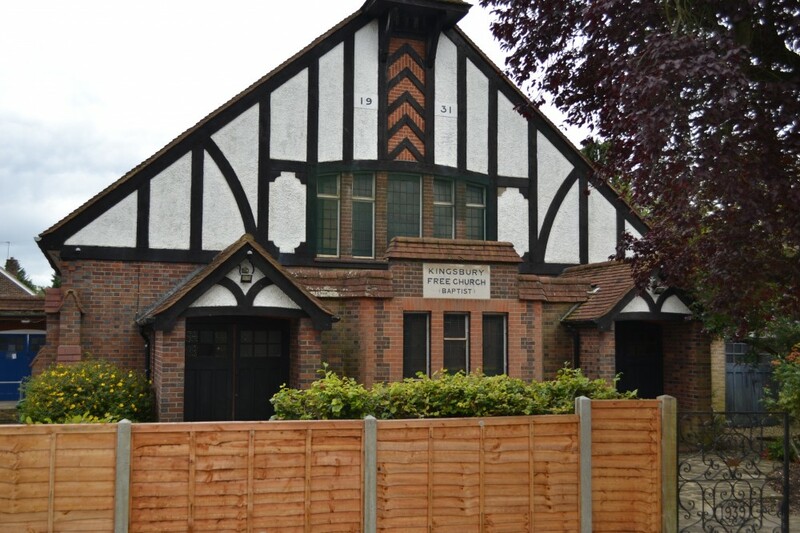 The church itself is located in a quiet residential area of Kingsbury including both private, council and rented property around the church. Our church has a membership of 23 adults . However, at our Sunday morning worship average attendance is between 35 - 45 plus children and young people and comprises of a diversity of ethnic origins including White British, African Caribbean and Malaysian. Our strength is in our diversity and unity of God. In common with all other Baptist Churches, our church is entirely self-governing. All matters concerning the life and work of the church, the pastorate and the premises is decided by a majority decision at the church meeting held 4 times a year. Our church is financially self-supporting and is derived from the gifts of members and friends along with the substantial income from our hall lettings. We are an evangelical church are committed to preaching of God's Word and to make believers of all nations. The only form of baptism we practice is Believer’s Baptism.All our activities are open to people of any background who are seeking God. We have a formal ecumenical commitment to the Churches Together in Kingsbury and Queensbury joining together for a Lent Course and Walk of Witness at Easter, a bereavement service and carol singing at Christmas as well as joint activities for the children and young people. We have close connections with our daughter church, Lindsay Park Baptist Church and have enjoyed joint Maundy Thursday reflective services at our church and joint Good Friday services held at Lindsay Park over the past 10 years. We also join with Victory Romanian Baptist Church for a joint Carols By Candlelight service.